What do the cast of Aquaman and the members of Italian music group Eiffel 65 have in common? They're blue (da ba dee da ba da). Warner Bros. has just released a collection of colorful character posters for the James Wan-directed superhero flick, sharing them with the world on Wednesday, November 7. 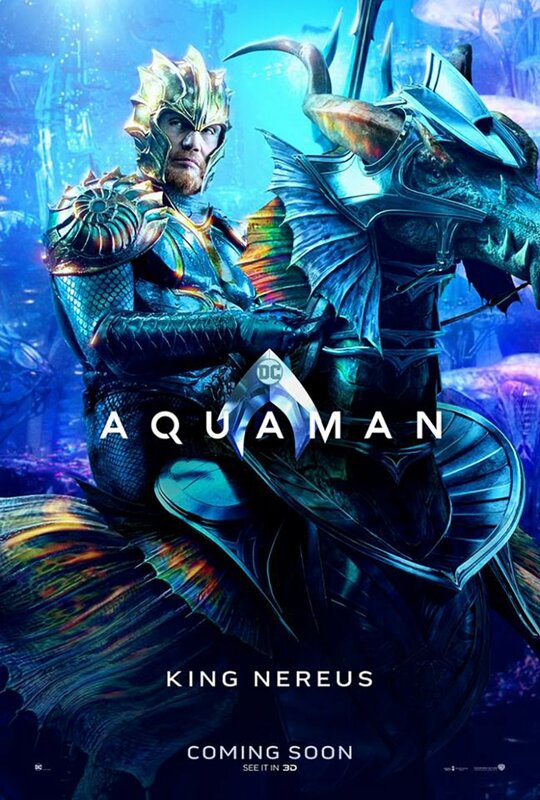 The seven new one-sheets feature Jason Momoa's Aquaman (real name: Arthur Curry), Amber Heard's Princess Mera, Willem Dafoe's Nuidis Vulko, Yahya Abdul-Mateen II's Black Manta (real name: David Hyde), Dolph Lundgren's King Nereus, Nicole Kidman's Queen Atlanna, and Patrick Wilson's King Orm. Each character is soaked in shades of blue and splashed with gold, turquoise, purple, red, and black tones that come together to give fans a brand-new look at the lords and ladies of the underwater kingdom of Atlantis. 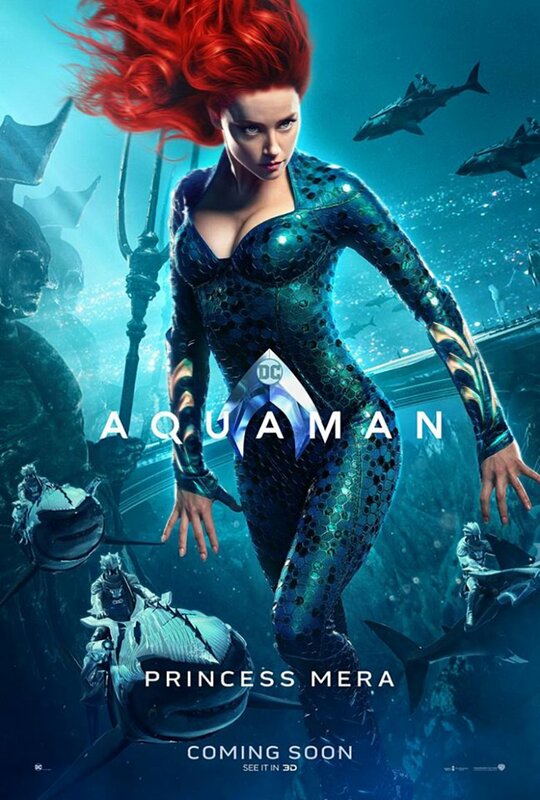 Alongside the poster reveal, Warner Bros. announced that Wan and the stars of Aquaman will soon embark on a worldwide tour to promote the movie and have some face time with the people who will get their butts into theater seats when the film debuts in December. 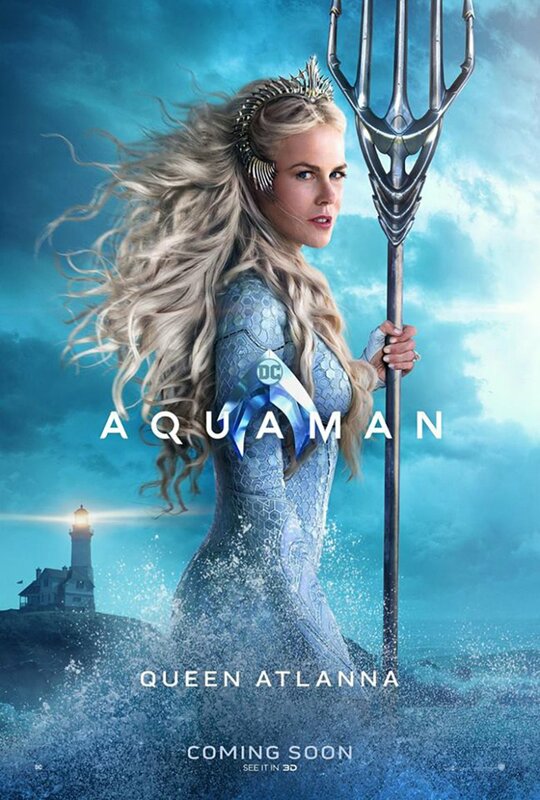 On November 18, the crew will travel to Beijing for a film footage and screening fan event, and on November 26, they'll visit London for the live stream world premiere of Aquaman. 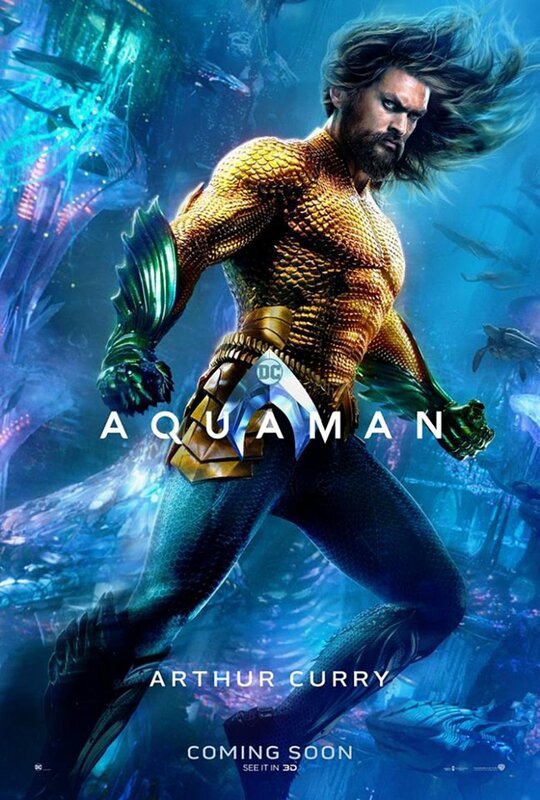 Throughout December, the Aquaman cast has seven major events planned: December 1 is the New York City fan event; December 11 is the Asian Premiere and Fan Event in Manila, the Philippines; December 12 is the live stream U.S. premiere in Los Angeles, California; December 14 is a press day in Miami, Florida; December 18 is the Australian premiere of Aquaman in Gold Coast, Queensland; December 19 is the fan event in Sydney, Australia; and December 21 is the special event screening in Hawaii. 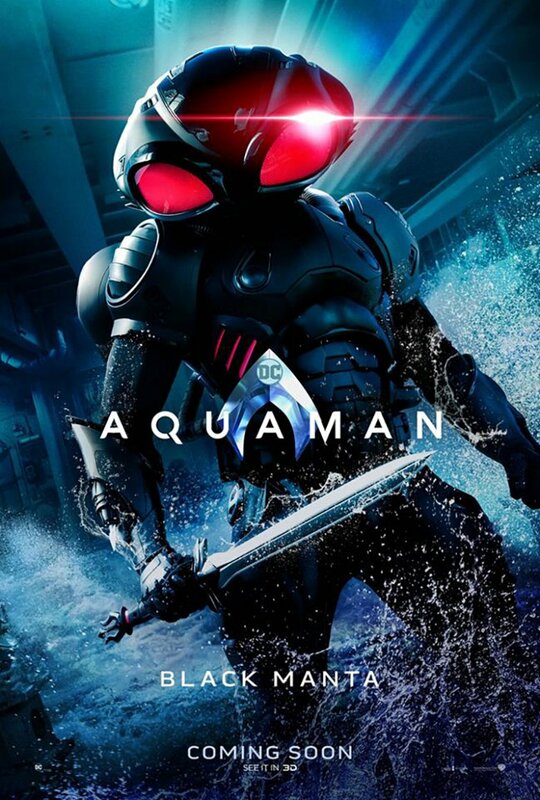 Obviously, Warner Bros. and DC Films are giving everything they've got when it comes to marketing Aquaman. 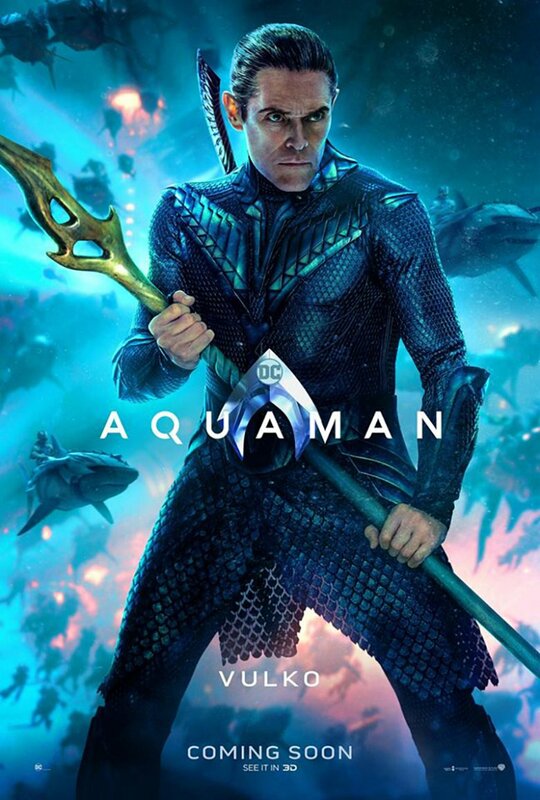 From various trailers and teasers to a five-minute-long extended look at the forthcoming flick to magazine covers to these radiant new posters, the studios have been pushing Aquaman big time — not only to plant the pic firmly on everyone's radar, but also to prove that Aquaman won't be your typical DC Extended Universe movie. The color palette of these one-sheets and previously released footage is enough to signal exactly that. 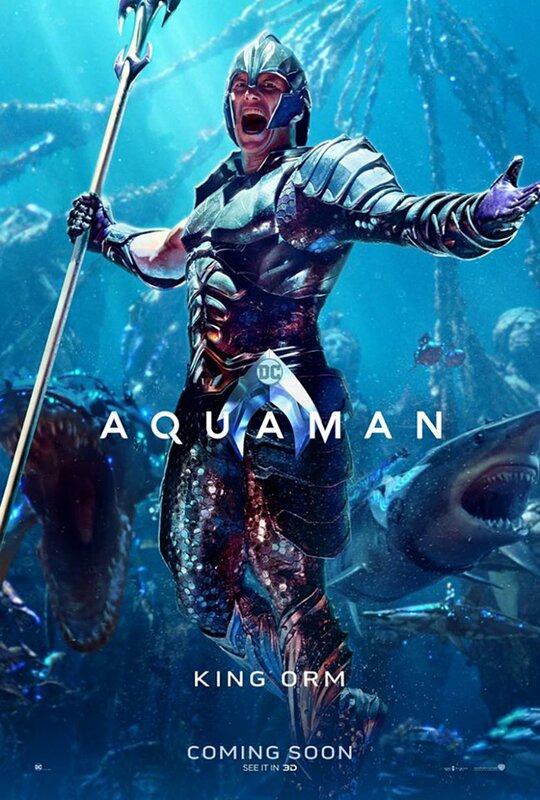 (Hey, Wan's Aquaman aesthetic is about as far a cry as anyone can get from the dark, monochromatic paintbrush Zack Snyder paints his films with. Facts are facts.) 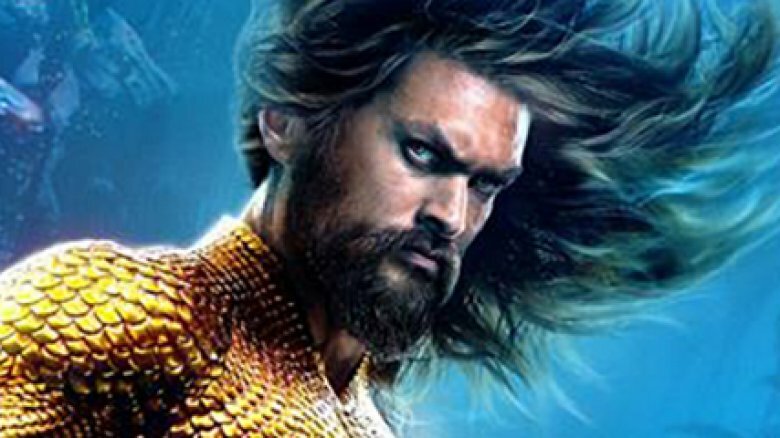 And based on the attention-grabbing language Wan and Momoa have used to describe Aquaman — it's "Star Wars underwater," a "swashbuckling action-adventure," and "a quest story in the spirit of Raiders of the Lost Ark meets Romancing the Stone" – the film will feel every bit as different from the rest of the DCEU as it looks. Aquaman is set to swim into cinemas on December 21.